We’ve hoped on the Marie Kondo train and have been inspired by her two recent books The Life Changing Magic of Tidying Up and Spark Joy. Have you read them? 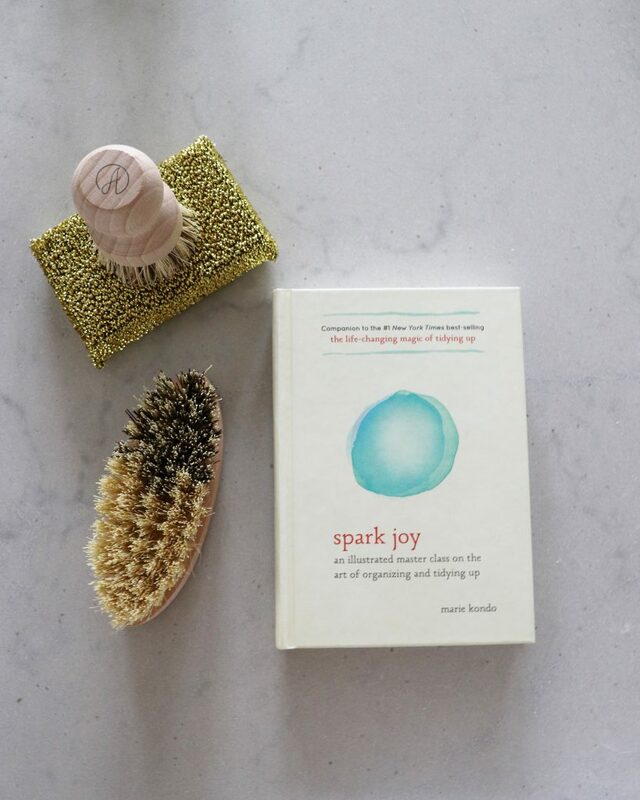 The Life Changing Magic of Tidying Up, and Spark Joy are BOTH #1 New York Times best-selling guides to decluttering your home and they take you step-by-step through Marie Kondo’s revolutionary KonMari Method. 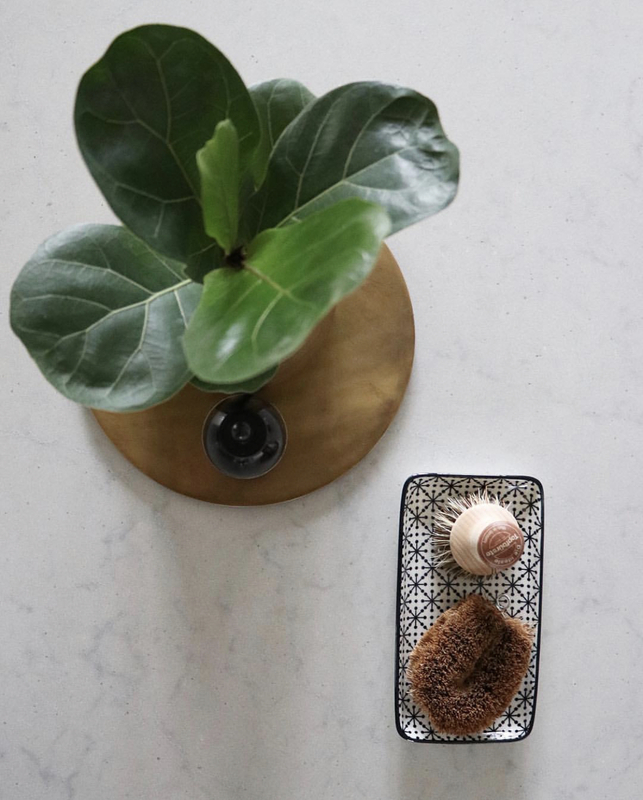 Expert Marie Kondo takes tidying to a whole new level, promising that if you properly simplify and organize your home once, you’ll never have to do it again. We decided to take on some tidying in the kitchen! 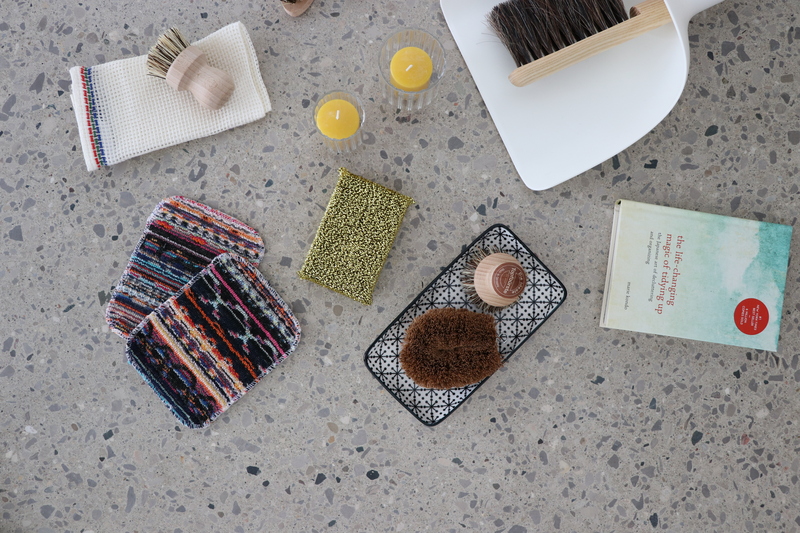 We decided to make tidying a SPECIAL EVENT, and not a daily chore – as Marie Kondo lists as one of the ways to change your life by tidying up and have it stick! And we documented some of her philosophies in Kitchen Komono, and her three main categories EATING, COOKING TOOLS and FOOD. Komono that brightens up your table! 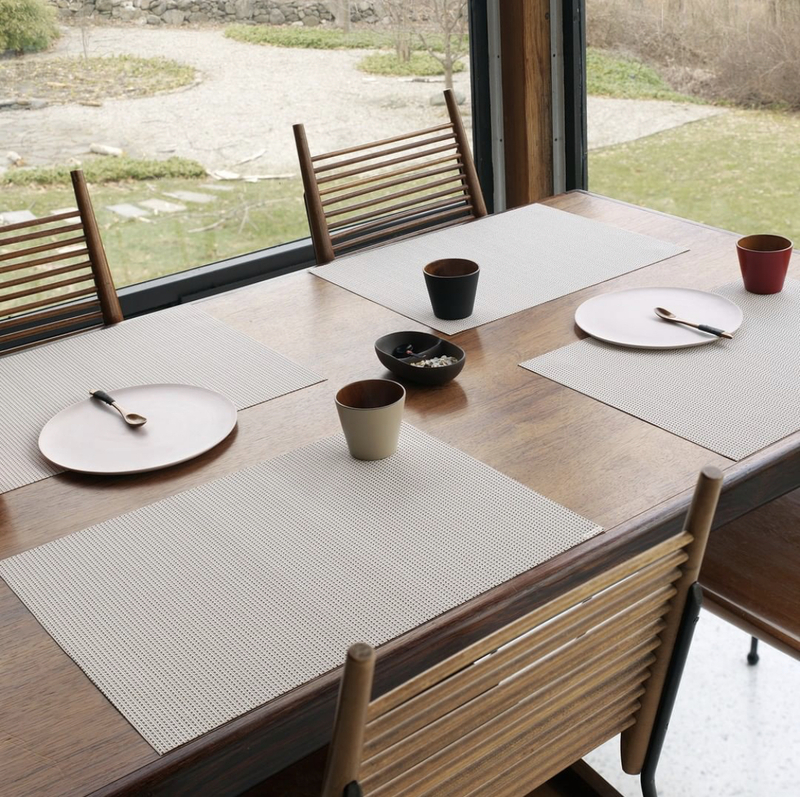 ‘Place mats, tea mats, coasters, and chopstick holders – they may not be essential, but they greatly enrich mealtime. If you have some, don’t waste them. Use them every day.’ Spark Joy ~ by Marie Kondo. 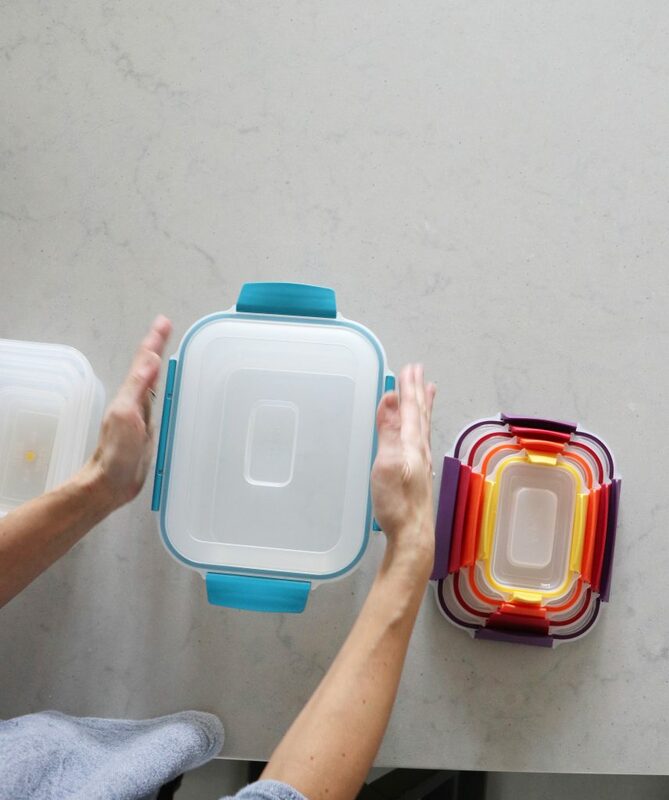 Storing food storage containers can be the of the of messiest drawers in the kitchen, not to mention the many missing lids! 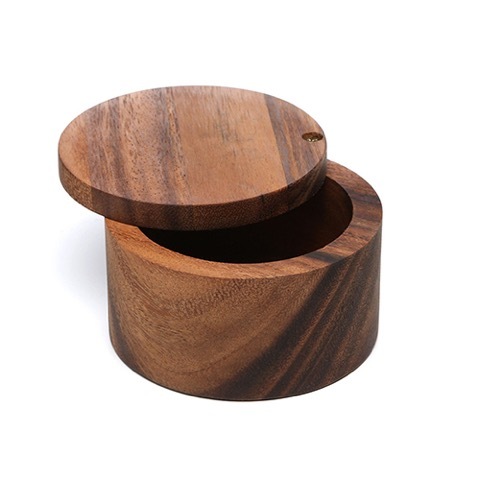 The KonMari way suggests improving the efficiency of your storage space of these containers by having a set that is stackable and you are able to store the lips upright. Using clear containers is also strongly suggested in the book, so that you can easily see what’s inside. We used our rainbow stackable container set to organize our dry goods in the pantry. 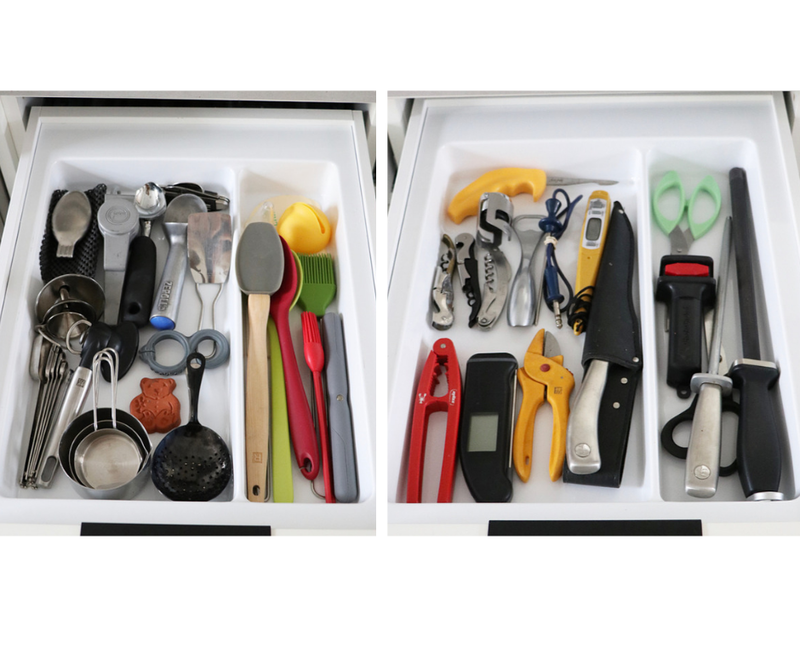 COOKING TOOLS – Eliminating unnessary extras or items you no longer use and categorizing your items are a few of the KonMari Method principles when tackling your kitchen utensil drawers. Organized in groups of ‘like’ items. 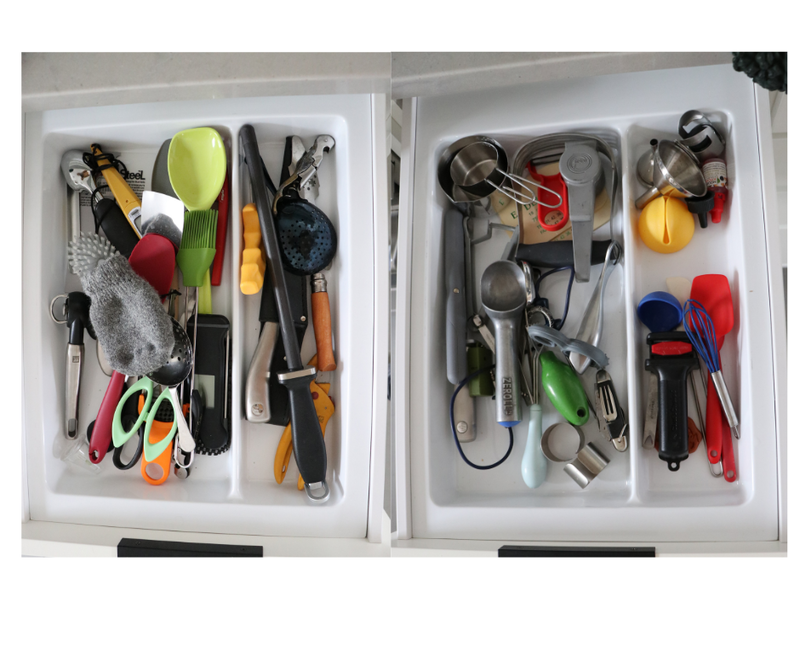 All silicone utensils grouped together, all measuring utensils grouped together, etc. Makes it super easy to find each item and everything has a specific spot to be returned to. 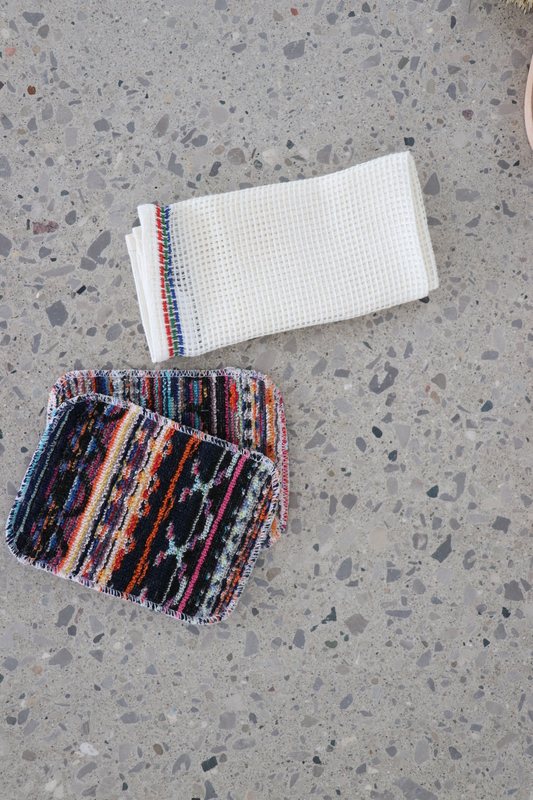 Do the everyday items sitting on your kitchen counter SPARK JOY! 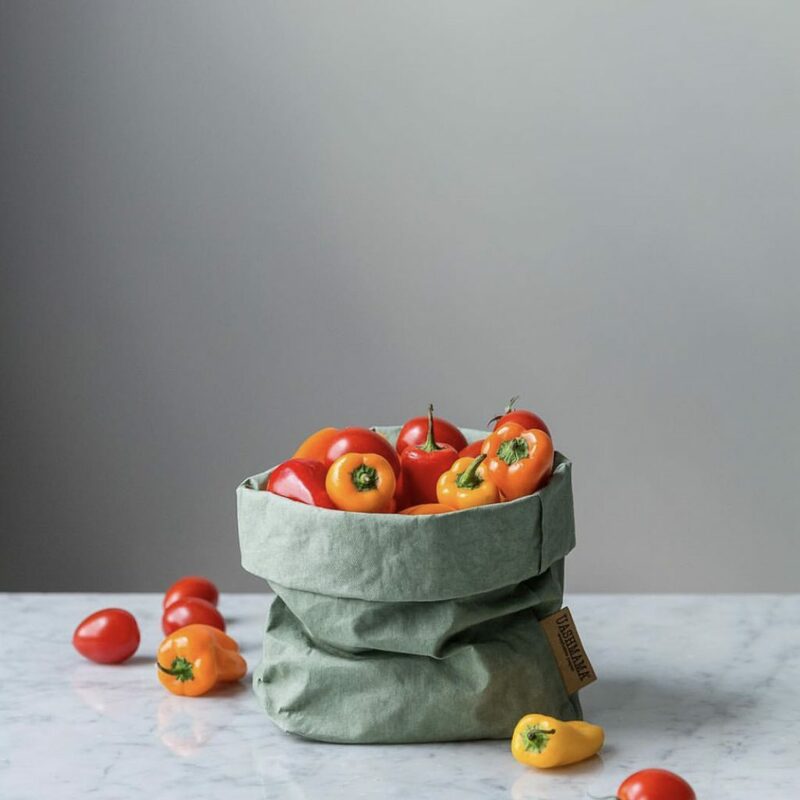 We took the KonMari test and realized a few key components about the way in which we could keep these everyday items such as salt and pepper, olive oils and vinegars and our wood utensils in a way that Sparks Joy! 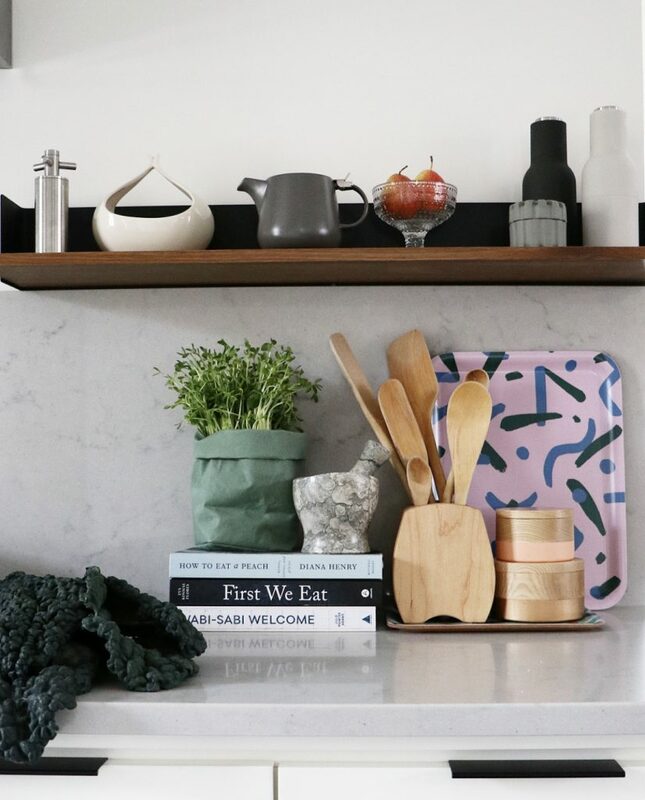 For us it was all about having these everyday items close at hand for our cooking pleasure and ease, BUT making them look neat and organized by TIDYING them. 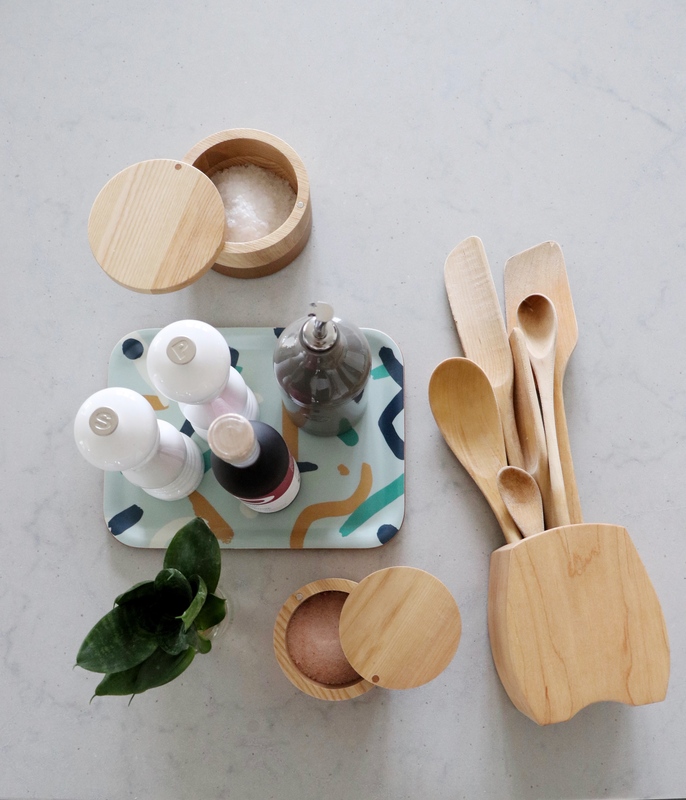 We grouped our wood utensils together and placed them in a wood canister, we put our sea salts in beautiful wood salt cellars, our fresh pepper in gorgeous salt and pepper mills, our olive oils in a pottery inspired bottle and organized everything together. 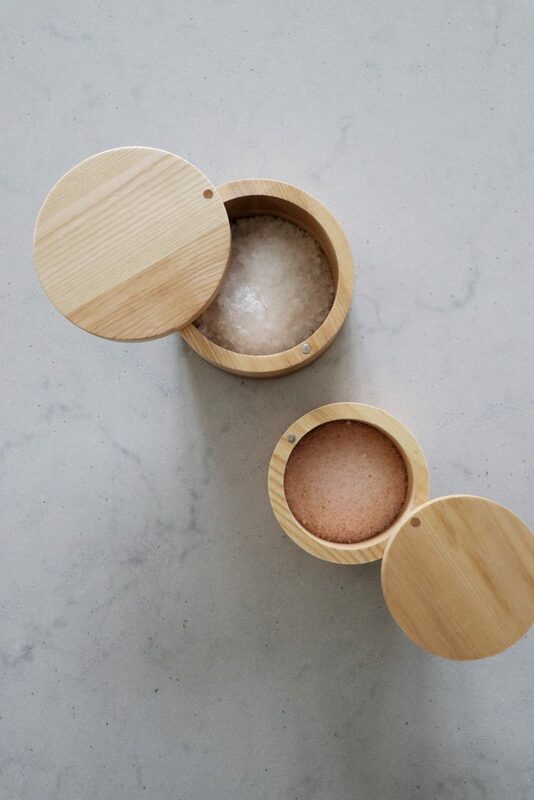 We LOVE keeping our gourmet sea salts fresh, easily at hand and neatly stored in one of our beautiful wood salt cellars. It may NOT be Spring just yet, but we are feeling inspired to find simple solutions to keeping our homes clean with some of our favourite home cleaning products. If you’ve ever wondered what one of THE TOP selling products are at Bradshaws is, here’s a hint – it’s in this photo! We’ve SOLD almost 20,000 of these to date! our Euroscrubby!! 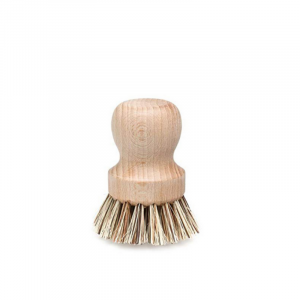 Multi-purpose, non scratch scrubby is a customer favourite and MUST have in any kitchen! 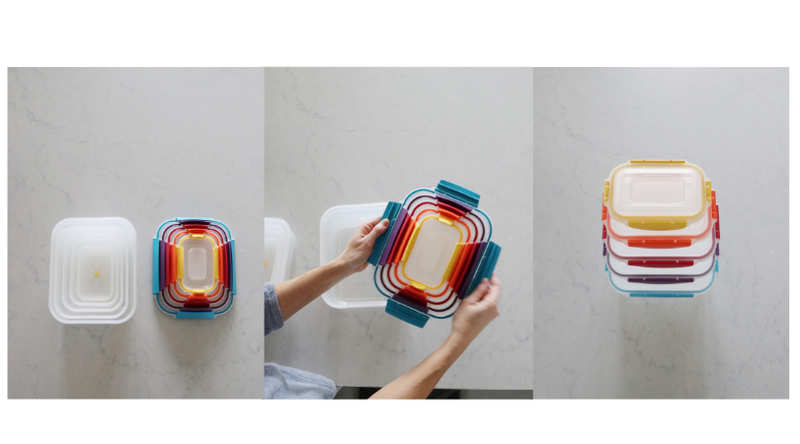 AND they come in bright bold patterns to make washing dishes, veggies or really anything that much more FUN. Another best seller at Bradshaws is our all natural linen dishcloths. 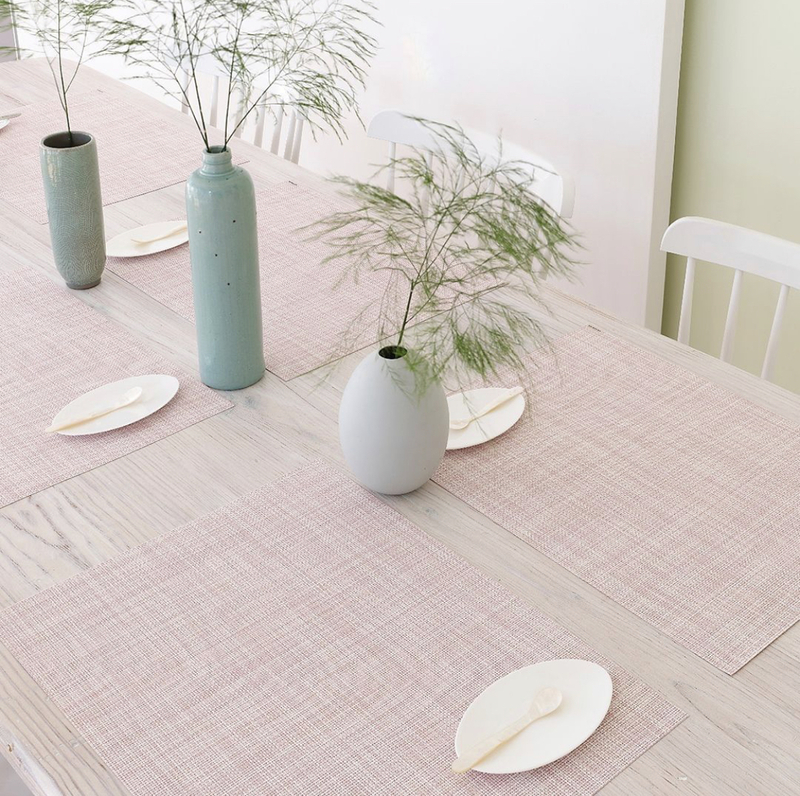 The natural properties of the linens don’t harbour bacteria or odours like a standard dish cloth. The wide weave allows for faster drying. Simple ways to stay organized and to SPARK JOY in everyday ordinary household items. 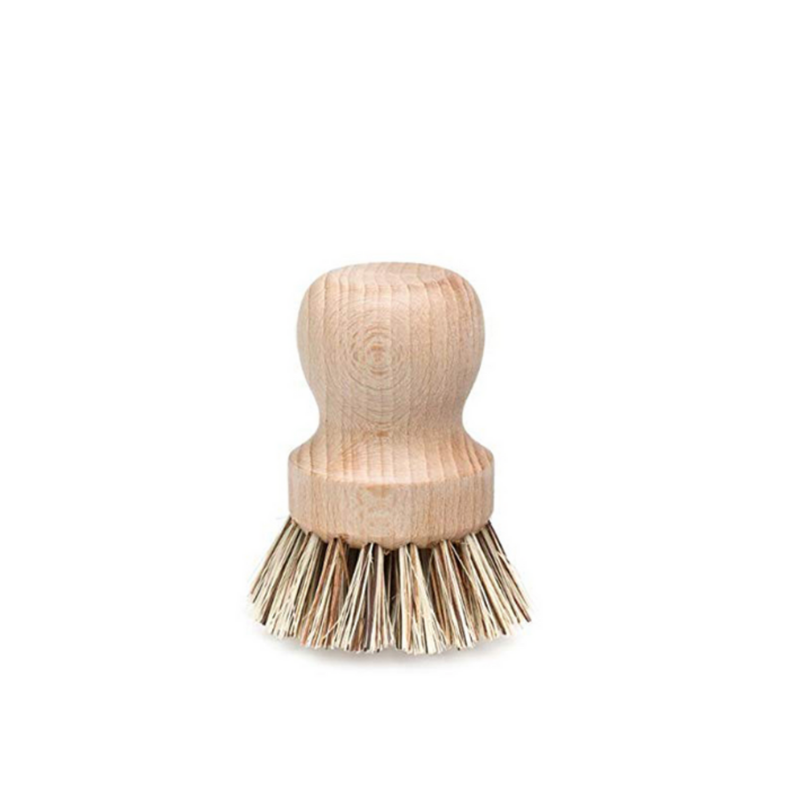 We place our natural bristle brushes we use for cleaning on a beautiful dish by the sink. It’s equal parts utility and special to look at. We always have a bottle of our favourite all natural UASHMAMA olive oil by our sink. Perfect for dry skin, especially on hands after washing the dishes. 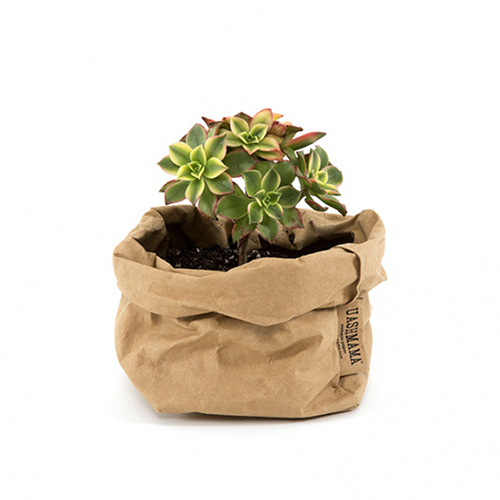 Our Uashmama Basic bags are made using traditional artisan methods from cultivated and sustainable paper. They are soft but resilient, can be washed like fabric, ironed and flattened completely for storage purposes. The bags are designed to be rolled so you can alter the height to suit the contents. 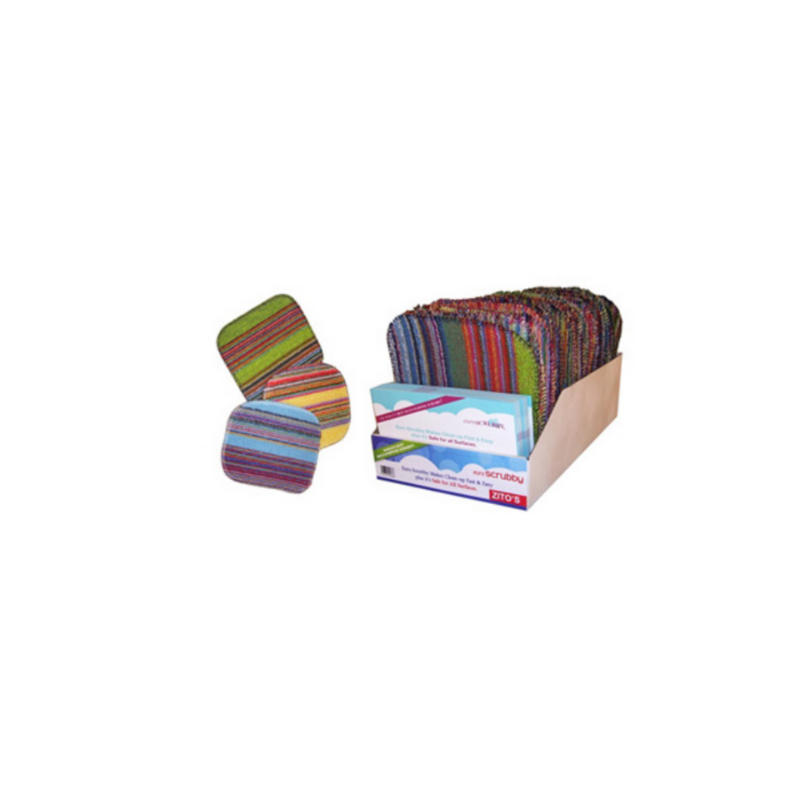 Beaufiful and functional, use in the home, office, kids room, outdoors, shopping, styling, catering or to ORGANIZE ANYTHING you like! Speaking of something special to look at, there is NO rule that your hand held broom and dust pan have to be an ugly plastic. 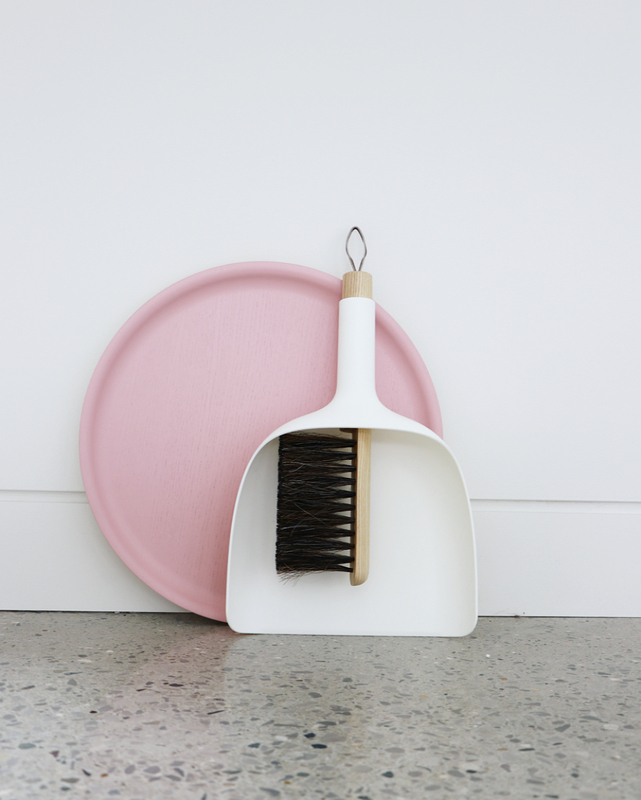 What if the items you used to clean up sparked at least a little JOY. 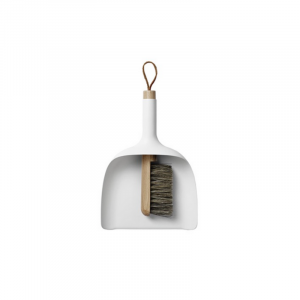 We have curated a KonMari selection of items in store, to help you feel more inspired to tidy up and make the process a little more beautiful. It is the time of year that germs are spreading AND we are amping UP our at home defences. 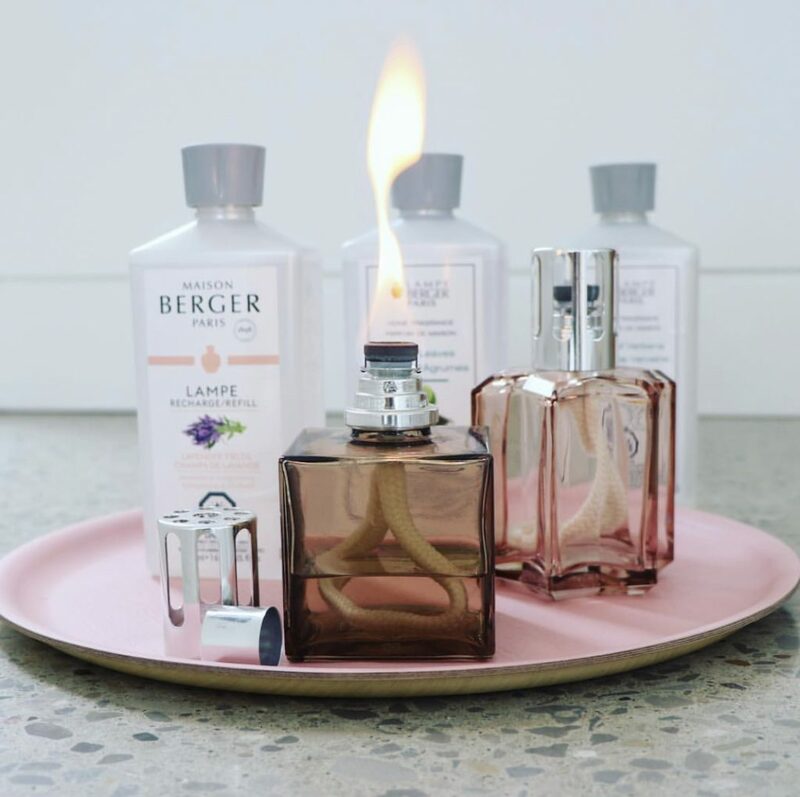 Did you know that the Lamp Berger was originally designed by a Pharmacist to kill airborne bacteria in hospitals in Paris over 100 years ago. Now, these gorgeously designed glass vessels still kill 68% of airborne bacteria in your home, burn clean with NO oily residue and gently fragrance. 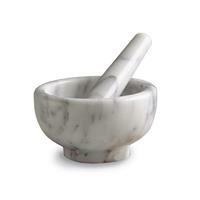 It is the perfect at home tool to add to your healthy home arsenal. These vessels are so pretty and make a great coffee table or counter top statement piece. See instore for ALL our fragrances.